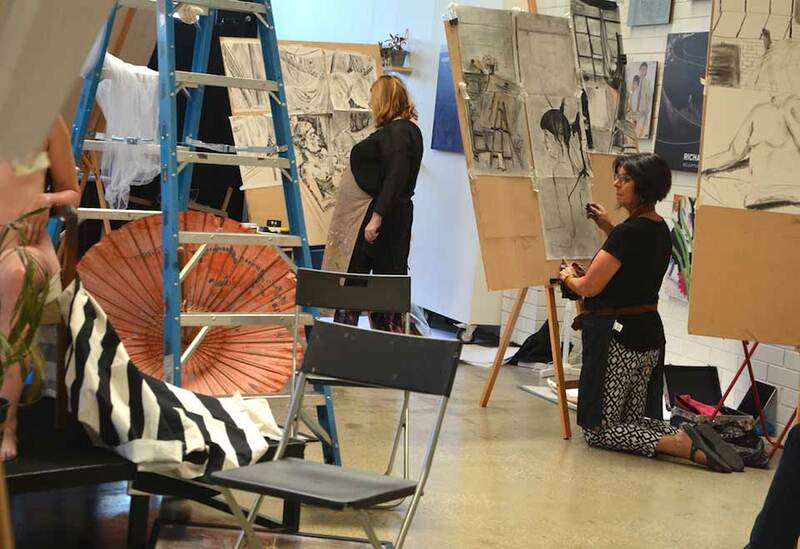 Working with life models and a large scale still life, drawing will be explored in an ever-changing flexible and fluid way, giving you an opportunity to challenge your drawing conventions and methods and also encourage you to embrace change and flexibility. Movement, modification and spatial relationships will be central to the exploration. This workshop is for artists that wish to broaden their drawing language, explore new methods and challenge themselves to work with an evolving composition. – Drawing tools such as chamois, paper stumps etc.